I don’t think I’ve ever done that. — Try thinking, then. I think I’ve never done that. Soon, I shall have no verbs and will be speechless. Ha ha, another good one. So sorry. I “can’t” help it. I’ve done a quick check and mine are nearly all in dialogue too. Still going to obliterate them where possible. I love how we obliterate, nuke, and destroy the words we once loved (or liked) enough to put on paper. Thank you. I’ve more up my sleeve! Hmm, not noticed “can” in much of my fiction before, other than dialogue, but I shall have to check it out. Let me know what you find. I’m curious. The can-can is a no-no. Ha ha! Good one. That should have been the post’s title. 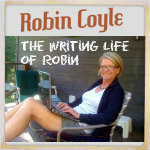 You are a novel tightening genius, Robin. You flatter me, but thank you so much! What IntrovertedSarah said. A novel-tightening genius. I’m not writing a novel but you’ve still helped me clean up my writing a ton. Can I adopt the two of you? You are both so sweet! You made my day. Boy! Reading this weak word posts and do I have a lot of editing to do?! Me too! Wait til I do the post on the verb “to be.” Oy vey. JM said the same thing, but as I replied to her, the “cans” in my dialog were tossed. I guess It depends on the tone and context. That made me laugh. It is funny how we are talking in “code” with the words I’ve pointed out in this series. The “cans” in my dialog were tossed in the trash “can” (hahaha, I’m so funny), but I guess it depends on the tone and context of the dialog. You are always quick to come up with creative sentences. I dislike can/ can’t also. The Elements of Style recommends not using at all because not only is it a weak word, it suggests a weakness in the personality of the sentence. I like the can-can addition as well! I need to pull out Mr. Strunk and Mr. White to see what they say on this matter. I’m glad I am keeping good company with this one! 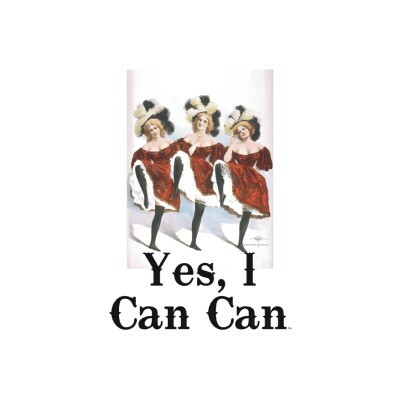 “I can do the Can-Can . . . ” is stuck in my head. Drat. Such a simple concept yet it seems to confuse so many people. Yes it can. I mean . . . yes indeed! Oh yes! I should have included the can vs may issue. Thanks for bringing it up! And, you are an evil teacher.